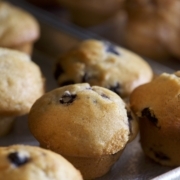 I’m not going to lie… I am a sucker for a delicious blueberry muffin! While dining at Sweet Tomoatoes this past week, I enjoyed several of these warm, moist muffins with my soup and salad. I am thrilled to share this recipe with you from their team, as well as offer you the chance to win a visit for four to eat at Sweet Tomatoes this summer! Just head on over to the Sweet Tomatoes Summer Giveaway on my website here… good luck! I made a few suggestions below on simple modifications to the recipe to make them even healthier. As always, choose organic ingredients when possible. Yum! Combine white flour, wheat flour, baking powder, and table salt in a 1 quart mixing bowl and thoroughly mix to combine. Set aside. 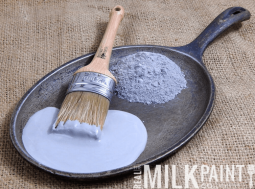 In a separate 2 quart mixing bowl, combine buttermilk, sugar, canola oil, eggs, and blueberry extract and thoroughly whisk until sugar is thoroughly dissolved. Add dry mixture to wet mixture and thoroughly mix to combine. Grease muffin pan with pan spray. Spoon muffin batter into muffin cups, filling each cup 3/4 full. Bake for approximately 20 minutes or until batter is firm and springs to the touch. The muffin will be a light golden brown. 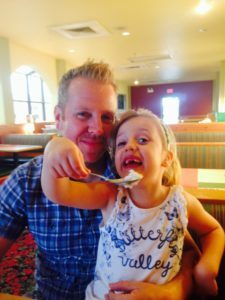 Recently, my family and I had the opportunity to dine at Sweet Tomatoes for a fun-filled family night! 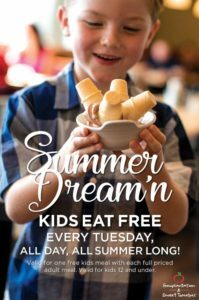 If you are stuck on where to take your family for a healthy dinner, kids can now eat FREE every Tuesday throughout the summer season! Little ones under three eat free all year-round with the purchase of an adult meal, too. Free meals aside, Sweet Tomatoes uses the freshest fruits and vegetables to create all homemade recipes from scratch. Each restaurant invites families to come together for a healthy dining experience, where farm meets the table. My children had fun picking out their favorites… from warm blueberry muffins, oranges, tomatoes (yes, my toddler can put away a plate of tomatoes quickly! ), pizza and macaroni cheese. I enjoyed two bowls of Asian Ginger Broth and a big salad! This month, guests can enjoy a limited-time menu, which spotlights picnic delights like the new Avocado BLT Salad, smoky BBQ Chicken Focaccia and tasty Broccoli Potato Soup. With Sweet Tomatoes turning 40 this year they are celebrating all summer! In addition to kids eating free every Tuesday throughout the summer, Seniors can also enjoy an all-you-can-eat meal and beverage for only $8.29 every day from 2-5PM all season long. And that’s not all – through July 31st Sweet Tomatoes is partnering with Pepsi to give away a cruise for four to Hawaii. Guests can purchase a beverage to receive a scratch off for entry. 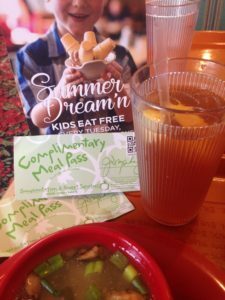 Tiny Green Mom is also giving away 4 free meal passes to visit Sweet Tomatoes with your family this summer in our Sweet Tomatoes Summer Giveaway! 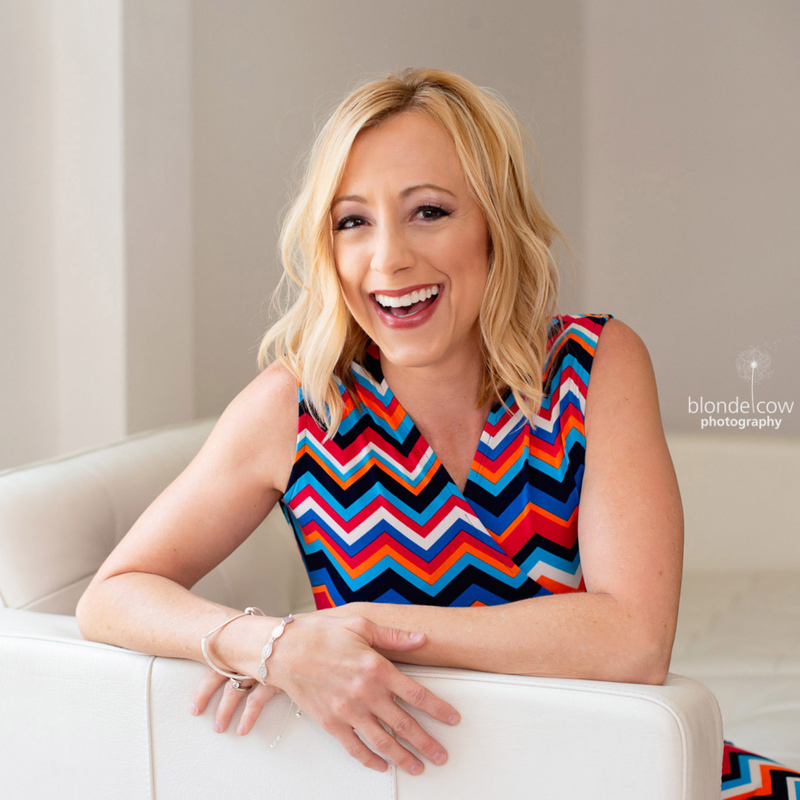 From July 15th – July 20th, 2018 you can enter to win daily on Tiny Green Mom! First, leave a comment below to let us know why you would love to win the Sweet Tomatoes Summer Giveaway! The Sweet Tomatoes Summer Giveaway ends on July 20th, 2018 and is open to the US only. Please make sure to leave a separate comment for every each and every entry that you make so that they will count for you! Thank you! We can’t wait to announce the winner of this delicious giveaway! Updating your baby’s nursery to a more timeless, neutral space for your little one, or looking for more classic pieces that could work for more than one child? We have compiled some tips on creating an eco-friendly, modern space that will grow with your child that won’t break the bank! Choose materials carefully. For the walls, opt for a child safe, enviromentally-safe, no or low-VOC (volatile organic compounds) paint, such as Real Milk Paint. 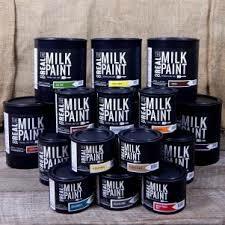 Paint is one of the top indoor air pollutants, and VOC’s are the toxins that off-gas into the air upon application. Most major paint manufacturers now make a no or low-VOC line of paint with a wide choice of colors, so when picking out paint, read labels carefully or ask a store associate for assistance. We all know that the color in a space can greatly affect our mood… and our children’s mood! For young children, opt for a color scheme that promotes a healthy night’s sleep & a calm, nurturing atmosphere for play. A neutral color can help to stabilize and ground, while green is an ideal color for any space. Green is neither hot nor cool & symbolizes growth & new beginnings. Use yellow sparingly, or not at all, as yellow is the hardest color for your eye to break down. In addition to paint, carpet is another major indoor air pollutant, so instead look for hardwood, bamboo, cork, rubber or tile options for bedroom flooring. Adding an area rug made from natural fibers adds the needed warmth you want in a bedroom, plus offers a sound deadening quality to help sound from bouncing off the floor & walls. Wool is strongly suggested as it is a self-extinguishing fiber, an added bonus. 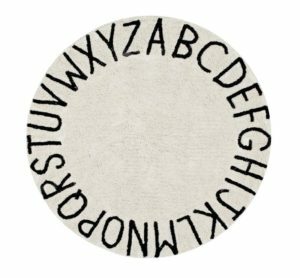 We love this ABC Classic Rug from Peurobaby, as it is ethically made from 100% raw materials and non-toxic dyes. It is also washable, which comes in handy with little ones! It is extremely lightweight and easy to pick up and move, with anti-slip underlay to ensure safety. When adding furniture pieces to your child’s room, such as dressers or chairs, look for unfinished wood furniture, and then stain/paint with a NO VOC stain or paint. This will limit any off-gassing of toxins that a finished piece of new furniture would emit into the space. Another eco-friendly choice is to choose a recycled or upcycled item from a family member or friend. For a fun, timeless piece that blends in seamlessly with any space, the Wooden Toddler Slide from Peurobaby is perfect for indoor use, and encourages exercise, motor skills and independence! 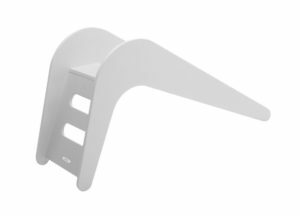 Available in a wide variety of colors, the slide is made from molded wood and finished with water-dilutable finish, free of methylpyrrolidone and free of phthalate plasticizers. For additional play items that grow with your child, choose items that delight their imagination and encourage independent play, from a wooden kitchen to an adorable Chalkboard Ride-On Wagon! 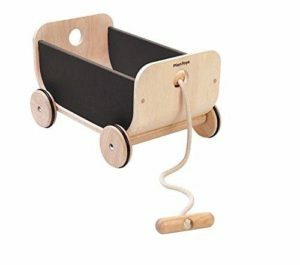 This little wagon is a favorite with my children… my now 6 year old likes to decorate it with her artwork, and my little guy likes to pull his wooden cars around in it! It wipes clean easily, too! When choosing new linens and bedding for a neutral space, think cool colors such as blues, greens, and lavender to calm and soothe, rather than jarring, bright colors! 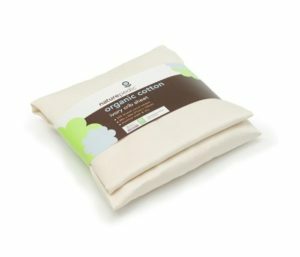 Organic cotton blankets, sheets and pillows give your child a soft, safe place to snuggle into at night, and if possible, opt for Naturepedic, a company that makes GOTS certified organic cotton sheets, pillows, and more… all allergen-friendly, as well! We also adore Aden + Anais, who make the softest, breathable, 100% cotton muslin blankets, changing pad covers, and sleep sacks. It can be fairly simple to makeover your child’s space to create a delightful, neutral space in which to sleep and play! When in doubt, opt for eco-friendly, natural, and classics that grow with your child. 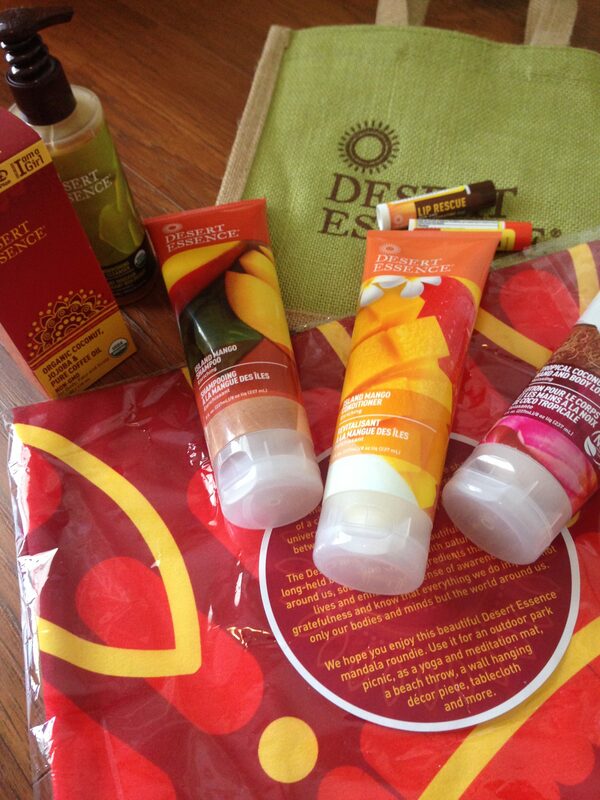 Desert Essence Summer Beauty Giveaway! http://tinygreenmom.com/wp-content/uploads/2018/07/IMG_5741-e1530817089126.jpg 3264 2448 Tiny Green Mom http://tinygreenmom.com/wp-content/uploads/2018/07/logo-sm.png Tiny Green Mom2018-07-05 12:00:072018-07-06 10:24:26Desert Essence Summer Beauty Giveaway! 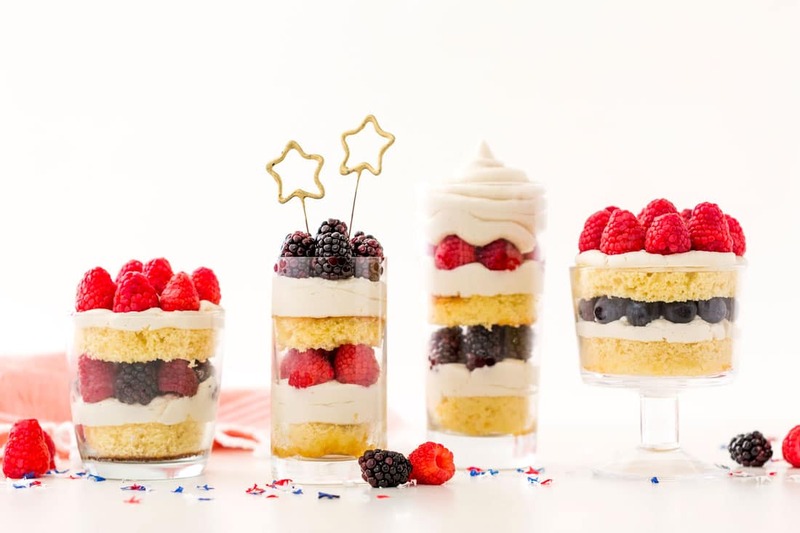 Fun and festive, these delicious 4th of July red, white and blue berry cake parfaits will be the stars of the dessert table! With berries in season right now, this is a winning combination! This recipe uses Miss Jones Organic Vanilla Cake Mix and Miss Jones Organic Vanilla Buttercream Frosting, plus lots of fresh berries, which makes for easy baking, assembling and cleaning. 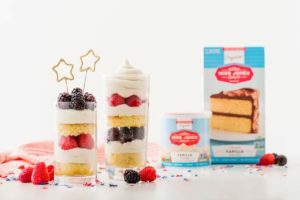 We love that all of Miss Jones’ mixes and frostings are vegan-friendly, so everyone can enjoy this festive, patriotic dessert! Plus, they are perfectly portioned and ready to serve! 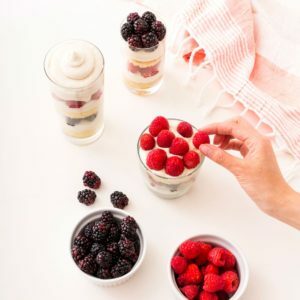 For this recipe, Miss Jones’ used parfait glasses & drinking glasses, using the rim of the glass to cut out circles from a sheet cake, but you can also use crumbled cake to fill mason jars for a dessert on-the-go if you are spending the day at a picnic or someone else’s home. Preheat oven to 350 degrees F. Line a 9×13 in pan with parchment paper and spray with oil. In a large bowl, mix together cake mix, eggs, butter and milk together until combined. Pour batter in prepared pan and bake for 35-45 minutes. Cool completely. Use the rim of the glass to cut circles out of the sheet cake. Push the cake circle to the bottom of the glass. If it’s too tight, use a knife to trim a little around the edges. Fill piping bag with frosting. Pipe some frosting over the cake layer and add some berries. Place another cake circle on top and layer with frosting and berries. Keep layering until you reach the top of the glass.